"I made this for my daughter's band to take on their West Coast tour. It was a big hit, helping them get down the road without getting hangry. Don't leave in a hot car!" 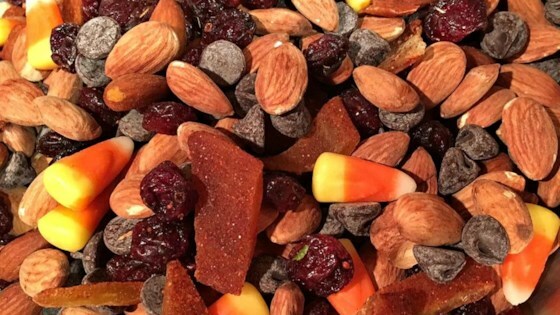 Mix almonds, dark chocolate chips, cranberries, mango slices, and candy corn together in a large bowl. Divide among plastic bags.